It is a primary herb for Graves’ disease and a member of the mint family. It might help in mild forms of hyperthyroidism. Bugleweed has been approved by German Commission E for use in mild hyperthyroidism. It is used in Europe for a mildly overactive thyroid, usually in the early stages and often with combination of Melissa. The herb is considered safe for long term administration. It is traditionally used to stop iodine conversion in the thyroid gland. Bugleweed also inhibits the conversion of T4 into T3 in peripheral tissues. It might also inhibit the action of thyroid-stimulating antibodies. Bugleweed is helpful for symptoms such as palpitations and convulsions; it can lower heart rate and help with insomnia. It helps with relaxation. There has been a human study of Bugleweed for use in hyperthyroidism. The study involved 62 patients and its findings confirmed positive effects of Bugleweed (Lycopus europaeus) in mild forms of hyperthyroidism (1) without adverse reactions. German Bugleweed europaeus preparation is called Thyreogutt mono tablets or drops. Scientific studies of this preparation showed statistically significant improvements for mild hyperthyroidism for over 300 patients without side effects. Best results were seen in people receiving more than a 4 week course of preparation (2). Other German preparation is Mutellon (Lycopus Europaeus, Motherwort and Valerian). Aqueous extracts of Bugleweed are also commonly used as well as alcohol extracts (prescribed by naturopathic professionals). Tea can be prepared by infusing 2-3 teaspoons of air-dried herb in a cup of hot water drank three times daily. Talk to your doctor before using Bugleweed. It is not indicated with iodine supplements or iodine I-125 (used for Iodine Uptake Test) and with certain medical conditions. Bugleweed should not be taken in condition of osteoporosis. It is not advisable in pregnancy or lactation. Beer AM, Wiebelitz KR, Schmidt-Gayk H. Lycopus europaeus (Gypsywort): effects on the thyroidal parameters and symptoms associated with thyroid function. Phytomedicine 2008 Jan; 15(1-2):16-22. Eiling R, Wieland V, Niestroj M. Improvement of symptoms in mild hyperthyroidism with an extract of Lycopus europaeus (Thyreogutt® mono). [Article in German]. Wien Med Wochenschr. 2013 Feb; 163(3-4):95-101. Lemon Balm is one of herbs which may be useful for Grave’s disease. I had talked about many other herbs in my book: ’Thyroid and Graves’ disease unmasked’. 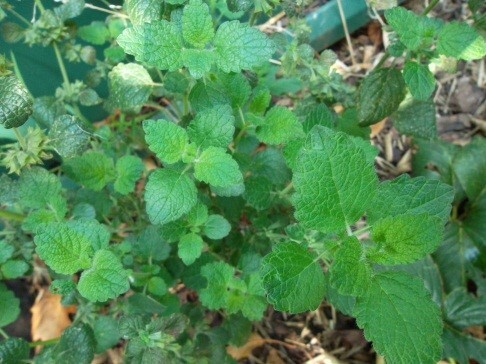 Lemon balm is a relaxing, gentle, anxiety reducing herb from the mint family. It has been approved by the German Commission E for sleep disturbance and nervousness. It has been used in the past to treat baby’s colic and viral infections. Many people use it as a calming remedy in times of stress and to help them sleep better. Fresh leaves are often put into salads. There are no clinical human studies of Lemon balm effectiveness in relation to Graves’ disease. However laboratory studies have shown that freeze dried extracts of lemon balm had decreased the binding of Graves’ disease thyroid stimulating antibody to the receptors on thyroid cells in a dose dependent manner (1). Lemon balm also blocks the stimulation of thyroid by thyroid stimulating hormone (3). 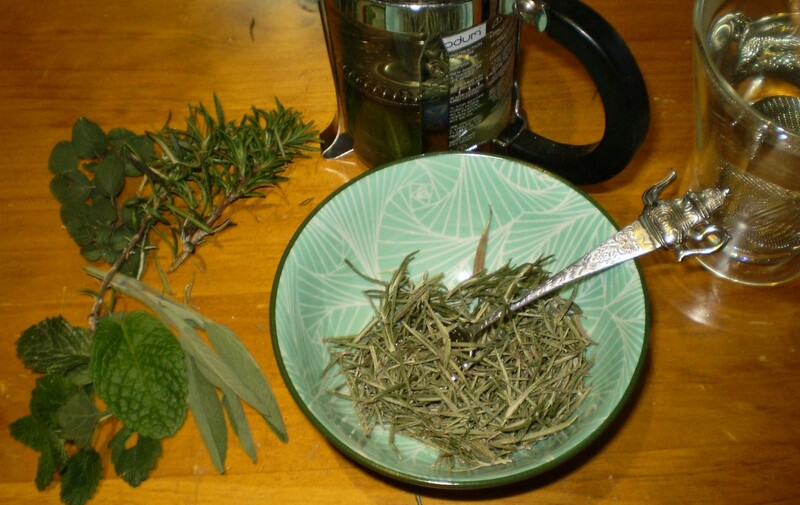 Therefore the herb may reduce the symptoms of hyperthyroidism. A study in rats has shown that lemon balm extract had inhibited the generation of T3 hormone (2). Another study had demonstrated a reduction of cardiac rate in isolated rat hearts with extracts of lemon balm. A human clinical study showed that lemon balm had reduced heart palpitations and anxiety in patients (6). Therefore, it is possible that lemon balm may improve the symptoms and thyroid hormone levels in Graves’ disease. There was a human trial showing lemon balm effectiveness for better sleep. Lemon balm was also shown to increase mood and significantly increase calmness. A scientific study has shown that it was effective in treating laboratory induced stress (4). Lemon balm has anti-oxidant properties. The active ingredients in lemon balm include caffeic acid, protocatechuic acid (also found in green tea, acai berries and onion skin), luteolin-7-glucoside (also found in dandelion, coffee and artichoke) and rhamnazin rosmarinic acid (also present in rosemary, sage and mint). 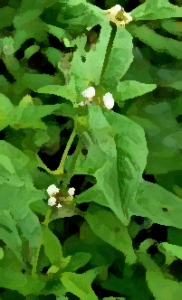 No serious adverse effects have been reported with the use of this herb. Overall it is considered safe when used as a leaf, fresh or dried. No interaction with other drugs is known. However due to its sedative effects, take care if you are also taking sedatives or barbiturates. Lemon balm has been used safely for thousands of years, however it is not recommended for pregnant/breastfeeding women unless under doctors consultation. It has a prolactin depressing effect. As with any new herbal remedies, it is important to watch out for any side effects. Consult with your physician before using Lemon balm. I grow it in my garden and hang branches in a cool place or dry some leaves on towel paper for few weeks and store it in a glass container for use. It has a nice citrus, aromatic taste. The lemon balm is usually not used alone to treat hyperthyroidism. The recommended dose, suggested by German Commission E monographs is 1.5-4.5g /day prepared as tea (or 0.5 g-1.5g/3times daily). It is sold in a tea bag form in many continental shops. Auf’mkolk M, Ingbar JC, Kubota K, Amir SM, Ingbar SH. Extracts and auto-oxidized constituents of certain plants inhibit the receptor-binding and the biological activity of Graves’ immunoglobulins. Endocrinology. 1985 May;116 (5):1687-93. Auf’mkolk, M., Kohrle, J., Gumbinger, H., Winterhoff, H., and Hesch, R. D. Antihormonal effects of plant extracts: iodothyronine deiodinase of rat liver is inhibited by extracts and secondary metabolites of plants. Horm Metab Res 1984;16(4):188-192. Auf’mkolk, M., Ingbar, J. C., Amir, S. M., Winterhoff, H., Sourgens, H., Hesch, R. D., and Ingbar, S. H. Inhibition by certain plant extracts of the binding and adenylate cyclase stimulatory effect of bovine thyrotropin in human thyroid membranes. Endocrinology 1984; 115(2):527-534. Zahra Akhondali, Mahin Dianat and Maryam Radan. Negative Chronotropic and Antidysrhythmic Effects of Hydroalcoholic Extract of Lemon Balm (Melissa Officinalis L.) on CaCl2-Induced Arrhythmias in Rats. Electron Physician. 2015 Jan-Mar; 7(1): 971–976.